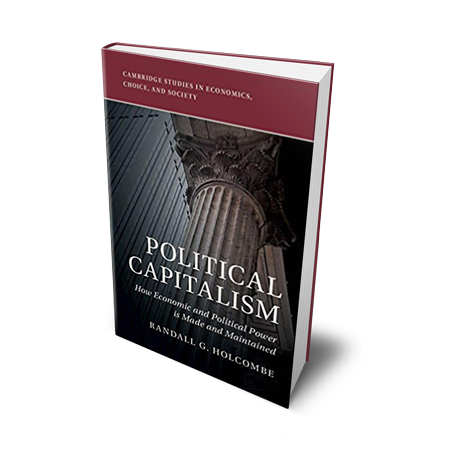 Public Choice Economics Strips Away The Mythology From Politics And Government. Recognizing Self-Interest In Politicians And Bureaucrats. Since we have understood self-interest for more than two centuries, why was it that economists, deeply knowledgeable about individual motivation, had a blind spot about politicians and government? The perpetrators in those two lines of work claimed to be in the business of public service. They talk about the public interest. For a long time, economists, normally so rational and objective, swallowed this mythology hook, line and sinker. Perhaps it was wishful thinking. Until the 1960’s, that is, when a theme emerged in economics that has acquired the name Public Choice Theory. (One of the consistent attributes of economic theorists is that they prefer goofy opaque names for their fields of research.) What Public Choice Theory really means is politics and government stripped of their mythology. The core tenet of Public Choice Theory is the recognition of self-interest in individuals in the field of politics and government. People are not different when they act as politicians, bureaucrats or even voters. Politicians seek election, bureaucrats seek to advance their own careers, voters vote their pocket book. The unit of analysis is individuals and their personal incentives. “The people”, “society” and “the public” are not real entities that make decisions. Individuals make decisions, based on the incentives facing them. The Different Impact Of Self-Interest In Private Markets Compared To Politics And Government. In private markets, incentives are based on the consequences of our own individual actions. We can calculate them, learn from feedback, and keep trying harder. In politics, this is not the case. The election-seeking politician responds to a group that he or she believes will be the majority of voters. Kenneth Arrow, who was one of the leading Public Choice theorists, demonstrated mathematically that there is no mechanism of political choice that can truly represent the preferences of all voters or even a decent compromise. It’s called Arrow’s Impossibility Theorem. The result is the dictatorship of the majority. The will of the majority voters will be imposed on the minority, irrespective of the minority’s preferences. 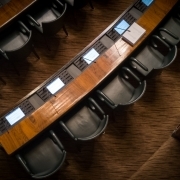 Within the majority voting cohort, there is often a well-organized special interest group that is particularly good at applying political pressure through organizing and fundraising and political spending. So the election-seeking politician responds to them. This group may run advertising and political messaging campaigns. Public Choice theory makes it clear that voting is irrational for the individual, since the possibility of making a difference in an election result is close to zero. Consequently, the incentives for the individual are stacked against spending time on information gathering – hence the phenomenon of the uninformed voter. The special interest group might run some crass and attention-getting ads that drive home a message like “my opponent is evil” at some level. This may be all the information the voter has. Once elected, the political representative is incented to delegate responsibility to government agencies and their bureaucrats. This saves the time and effort of studying issues and writing legislation. The agency bureaucrats secure their positions through civil service appointment, not elections, and their incentives are for more funding, more discretion, more control and more prestige among their agency peers. They, too, seek the support of special interest groups through discriminatory transfers of wealth from the broader citizenry. They give farmers subsidies in farm bills at the expense of the food-buying public. They give exporters tariff protection at the expense of domestic consumers. Public Choice Theory demonstrates that even Presidents and Supreme Court Justices are incented to maintain the “stability of the system”, which means not rocking the special interest boats. No Point To Throwing The Bums Out. This analysis also makes it clear that the policy outcomes will not change when different individuals are elected. The same voting mechanisms and the same bureaucratic response to special interest influence will prevail. There’s no point to throwing the bums out. Democracy itself is a sham. Critics of free markets like to point to what they call “market failure”. Public Choice economists point out that “government failure” is the norm. We’ve known this since Adam Smith’s time. Two centuries of folly have intervened.